Extend the shine of jewelry to your feet. 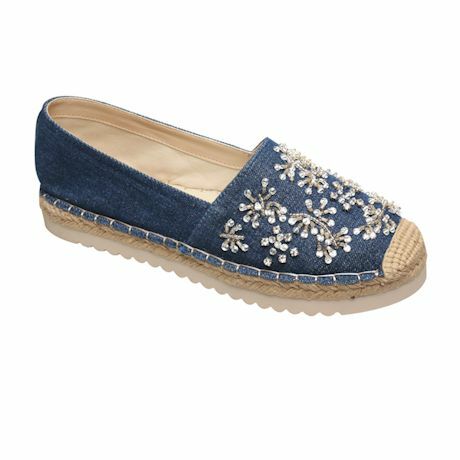 Expertly sewn crystals decorate these summertime classics; simply slip on the canvas-cool shoes and delight everyone with their brilliant sparkle. Textile uppers and lining; polyurethane outsole. Imported. 36(5½-6), 37(6½-7), 38(7½-8), 39(8½), 40(9), 41(9½-10); 1" platform heel.